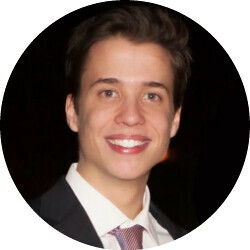 My name is Mário, I’m from Portugal and recently I enrol in Eddisrupt to improve my programming skills. First of all, I need to say that I don’t have any degree related to Computer Science, in fact my academic background is Management and I worked for 6 years in Logistic. The best way to learn a programming language (to learn anything in fact) is to surround yourself with people with same goal as you, and the biggest problem when you learn something by yourself is that sometimes you don’t have a community that will push you to new challenges. In November in that same year I found Eddisrupt and decide to join this”community”. As much as you can learn by yourself, there is always something that you miss and you don’t give enough attention. In Eddisrupt you will learn a subject and then complement it with exercises, where you can discuss with your professors and colleagues, bests practices to implement in your code. As I already told you, finding people that want to achieve same/similar goals as yours, is an important step to give in order to improve your skills. In Eddisrupt you have a group of colleagues where you can share your ideas and hear new ones from them. This exchange of information allows you to meet new ways of thinking in programming. Every week you will have big challenges to do at home. And this is an awesome way to prove that you can build powerful things with what you just learned. You will also have group works, where it will teach you how to work in a team, and this is a crucial skill that you need if you want to work in this industry. It is for sure that the learning path will never ends, and after you finish the bootcamp your quest continues. But what you get from Eddisrupt, above all, is a group of people that will help you to achieve your goals, and you will help others too, because the best way to improve and learn is by sharing your knowledge. Have fun and let me know if you need to discuss something.